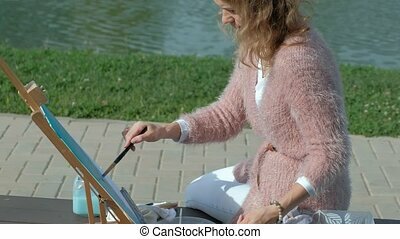 There Is Easel With Macaroons Served As Picture Of Art. 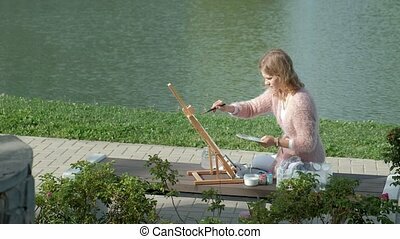 There is easel with macaroons served as picture of art. Different colored and tasted bakery is putted on little wooden shelves in various order showing advantages and disadvantages like cracks of meringue on top of dessert. Heavy gilded frame is contrasting with light texture and unobtrusive flavor of French dish representing cake of first love. Background is about free space in front of window covered with tulle of fine tulle fabric of white color and dark evening sky on street. Teacher is talking with students giving knowledge. 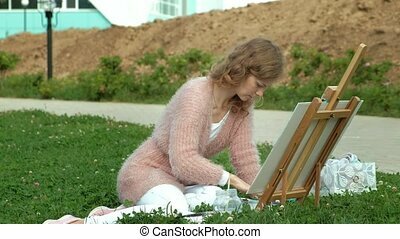 Listening to question carefully and answering them woman is concentrated on her work helping people to understand details of art, drawing and painting work. 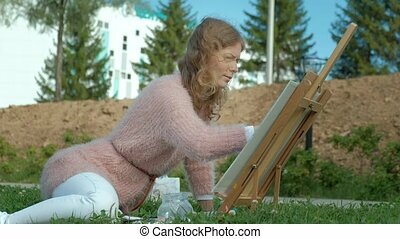 Middle-aged female is happy and delighted with her activity standing in front of people who want to learn wearing long black hair done with bobby-pin and ornamental patterned blouse. 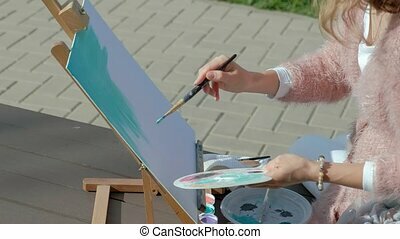 There is easel with green picture, shelves of wood with hand-made stuff on background. Close-up view of artist workplace with stuff. 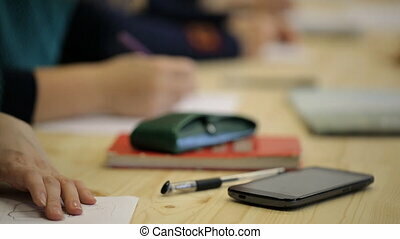 There are lots of stationary on desk where student of art is working such as white paper with drown pots and vases, black pen for tracing outline of picture, cellphone for connection with friends and chatting during studying process, book helping learners to understand base and glasses case for keeping. 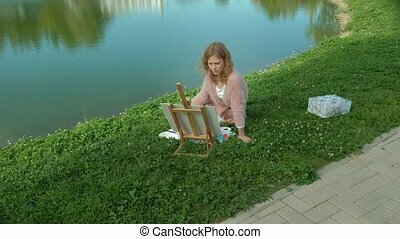 Person sitting in front is drawing sketch in classroom trying to get knowledge from lecture or workshop. 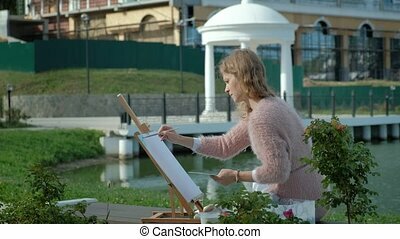 Male student is drawing still life composition. 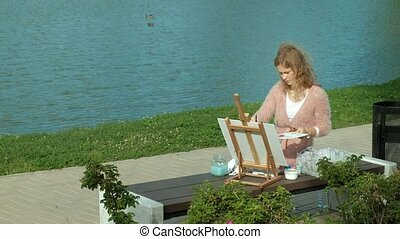 Man is sitting at desk creating picture of vase elegant and beautiful. 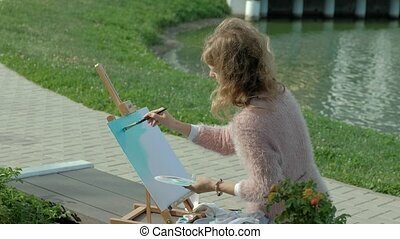 Making sketch or black and white image he is concentrated on working out artistic project doing task of teacher studying or learning art on workshop. 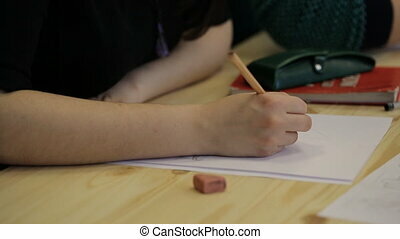 There are lots of stationery such as papers drawn in different styles, cellphone for connection, pens for correcting outline and book for helping. Person is wearing dark colored jumper with rolled up sleeves. 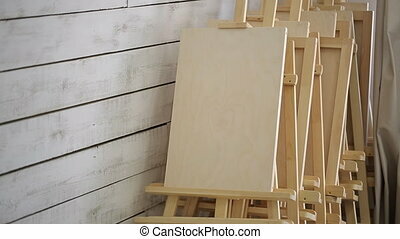 Many wooden easels stands near wall in art studio. Wall is painted in white. 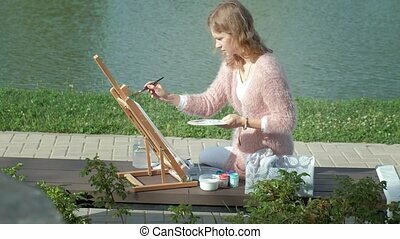 Desks are free from sheets of paper because painters have already finished working with them. Frames for holding artistic's drawings looks like new because there are no spots of paint or splinters on it. 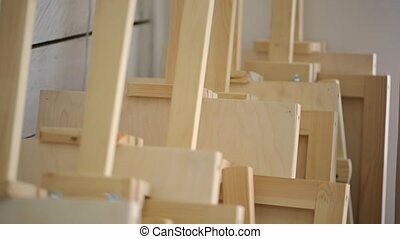 Easels are put accurately one by one to be ready for tomorrow's exercizes. 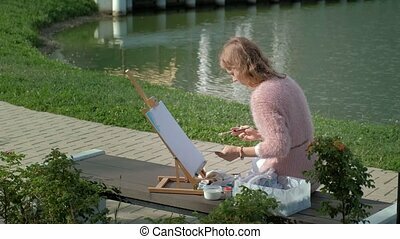 Easel- tripod is uses for stable fixation of picture, its components is frame that narrowed up and supporting leg. Lots of wooden easels stand in corner of workshop. They are made from ash-tree, light grade of wood. 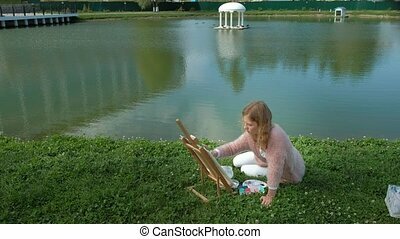 It is one of most valuable types of timber and very useful for beginning artist. Desk from ash will serve for long times. Besides it has beautiful texture, this material is resistant to decay and very durable. 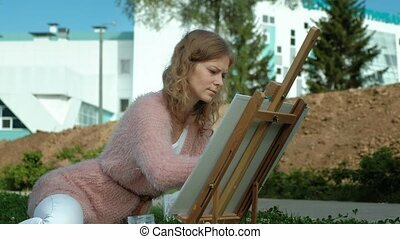 People in art school usually use easel-cracker or tablet with holder on the upper frame to fix paper during practice in painting to avoid damaging with scotch or buttons.